Current Case: Ascertain the nature of the charges facing the informant and the amount of time he or she expects that his/her own sentence to be reduced, or the magnitude of any other expected benefit. Prior History of Informing: Has the inmate informed in the past? If so, learn more about that prior case and assess the informant’s credibility. Relationship between the Informant and the Defendant: What is the relationship between the informant and the defendant? Did they know each other before meeting in jail? If so, how do they know each other and what is their relationship? For example, are they rival gang members, do their families know each other, or do they have a girlfriend in common? Jail Calls and Visits: Who is visiting or speaking with the informant and the defendant on the phone? Do these people know each other and can they be transmitting information? Status of the Informant in the Facility: Is the informant a jailhouse lawyer or someone who gets involved in other inmates’ cases, so that the informant may have heard information about the defendant’s case third-hand and not directly from the defendant? Where did the Informant get the Information? News Reports: Gather all media reports regarding the case in question and compare them to the information provided by the informant. Does the informant provide new information, such as the location of damaging evidence, something unique about the manner of the commission of the crime, or a previously unknown motive? Discovery Materials: Could the informant have seen the discovery materials provided to the defendant and gleaned information about the case from those documents? Jail Calls and Visits: Jail calls may reveal that the informant got the information from someone other than the defendant. Similarly, reviewing the defendant’s calls may include references to the informant and could reveal the nature of their relationship. Jail visitors may also be a way that information was transmitted to the informant. Housing of the Informant and the Defendant: Was the informant housed in the same place as the defendant so that the informant had an opportunity to actually hear what he or she claims? Jail Video Recordings: Are there video recordings in the institution that demonstrates that the two were together at the time described by the informant? Jail Calls: Review jail calls by the defendant and the informant to see if there is corroboration of the crime or of contact between the two. Confirm Facts: Confirm that any new facts supplied by the informant are true. For example, if the defendant has allegedly related to the informant previously unknown evidence, investigate that evidence and why it was previously unknown in order to determine if the informant is reliable. Ultimately, it is up to the prosecutor to decide whether or not to use a particular jailhouse informant. 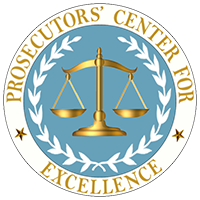 By following the recommendations set out above and by understanding and honoring their ethical obligations, prosecutors can help eliminate wrongful convictions while ensuring that the guilty are held accountable in accordance with the highest standards of justice. Note: The moving force behind these considerations was District Attorney William Fitzpatrick, Onondaga County, New York and former President of the National District Attorneys Association. He provided the foundation for these considerations. They were honed and expanded by experienced prosecutors and members of the New York Best Practices Committee (in alphabetical order): Executive ADA Timothy Koller (Staten Island), Executive ADA Robert Masters (Queens), Deputy Counsel ADA Julian O’Connor (Bronx), Chief ADA David Rossi (Albany), ADA Kate Spota (Special Narcotics Prosecutor), and Chief ADA Rick Trunfio (Onondaga).